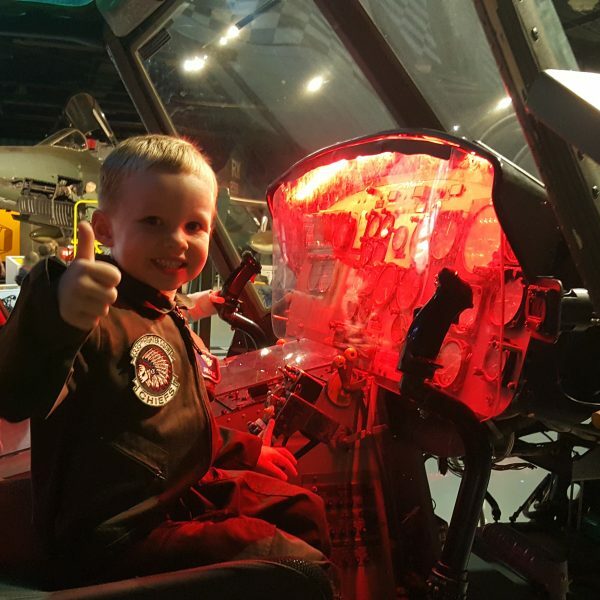 The National STEM Academy at the Museum of Aviation offers history and STEM field trips and outreach programs to schools, homeschool students/groups, private groups, Boy and Girl Scout troops, ROTC groups, and more. 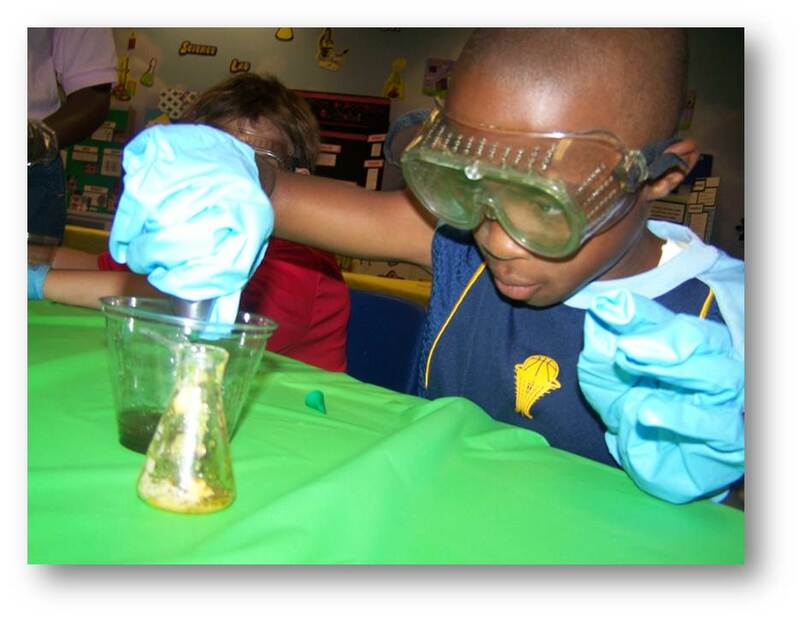 Field trip options begin for grades Pre K and are offered all the way up to 12th grade students. Education programs are aligned to state and national standards and can be customized to fit curricula needs. To schedule a trip, please review program details below and complete the Field Trip Request Form at the bottom of this page. A field trip coordinator will be in touch personally to schedule your Museum of Aviation National STEM Academy Field Trip. *For special needs groups, please contact us for alternative options for each program. See what people are saying about our programs! ATTN Trip Organizers: Don’t forget to leave time to visit our Jet Fuel Java & Aviation Gift Shop as well as the NEW VR Simulator Ride while you’re here! 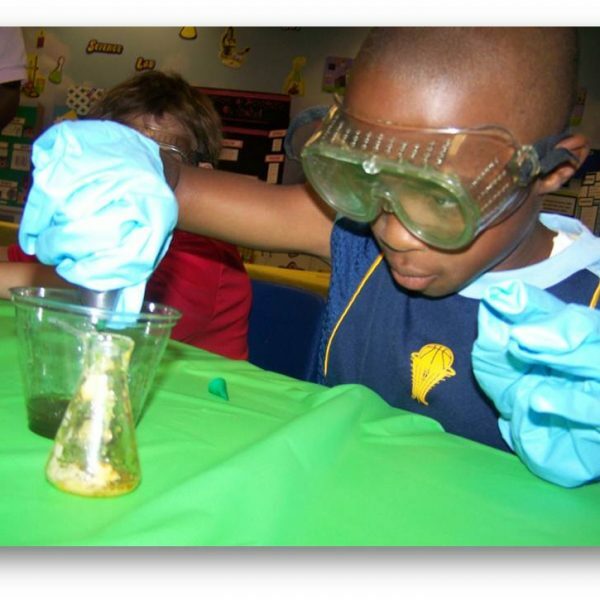 This program aims to encourage STEM learning at an early age with fun hands-on activities. ACE Wonder Wings program is specifically designed to correlate with the GA Early Learning and Development Standards (GELDS). DAYS: Tuesdays – Fridays August – May, not offered June – July. The Wonder Wings program is brought to your classroom. 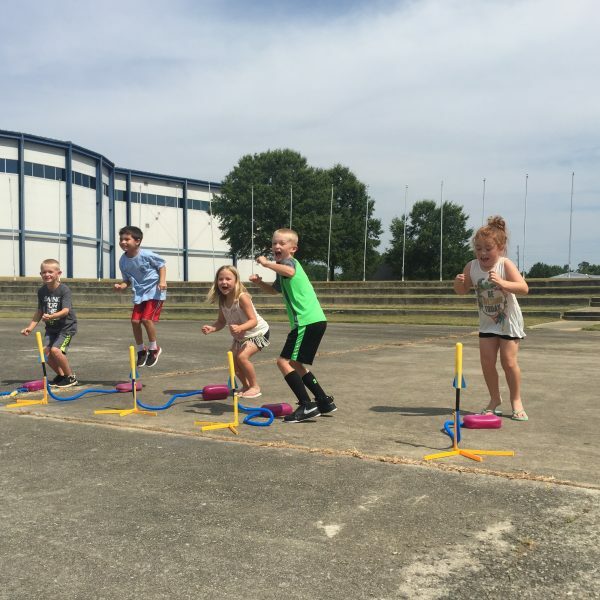 This program is offered to schools within 50 miles of the Museum of Aviation. Can see up to 2 classes per visit. Classes are offered one Monday a month, September – May. 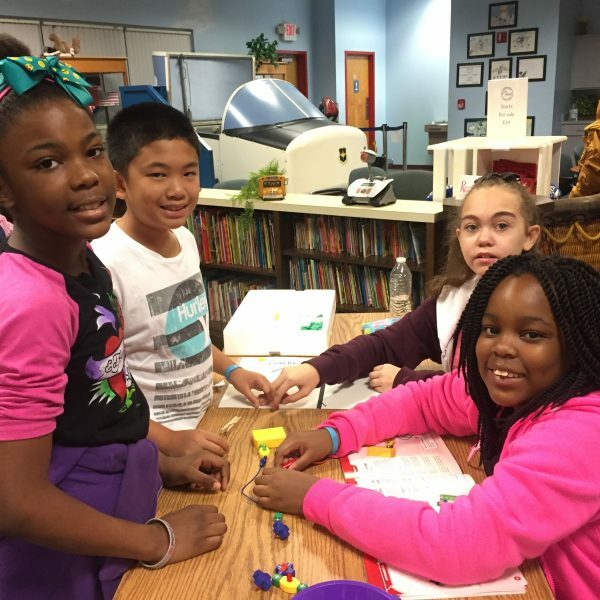 Each month features a different theme and students will explore science, technology, engineering, and mathematics through engaging, hands-on activities. The 2018-2019 themes will be based on careers in STEM fields. Using hands-on activities, students will explore and learn how STEM today can lead to careers tomorrow. Spaces are limited, pre-registration is required. 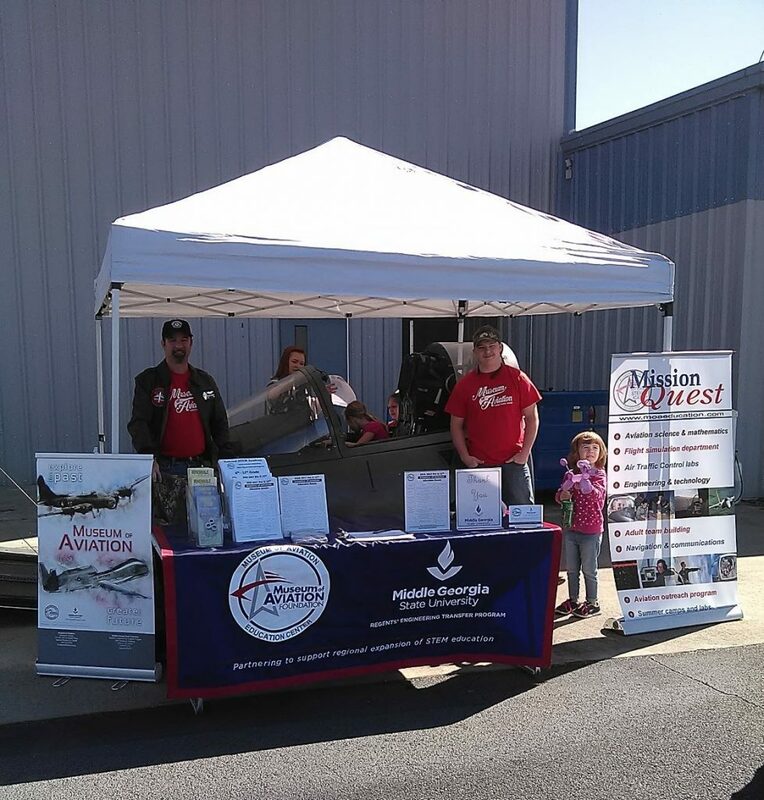 For more information or questions, please contact Valerie Myers at vgill@museumofaviation.org. 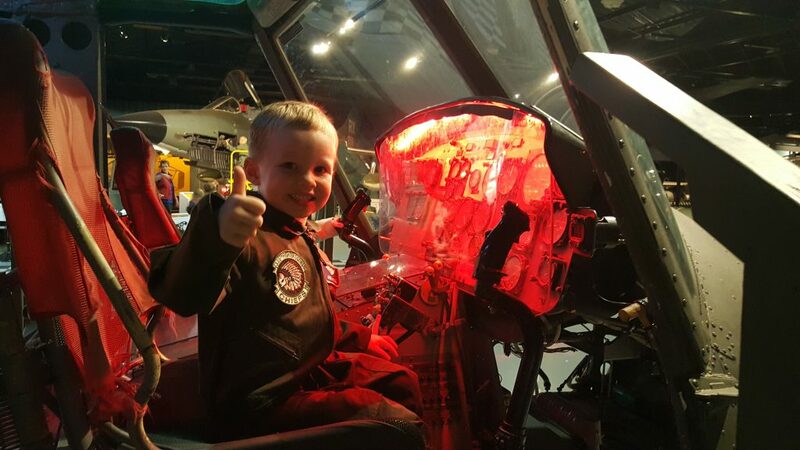 Explore World History through exhibits and aircraft at The Museum of Aviation! 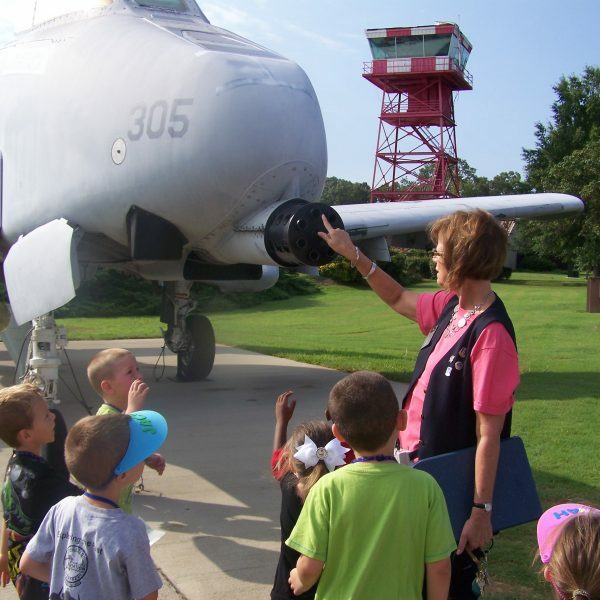 Guided Tours are history-based tours led by trained staff from the Museum of Aviation Education Center. You will also go inside the C-130 “Hercules” airplane for an Inside-an-aircraft experience. While inside the C-130 “Hercules,” you will watch a video on paratroopers and other missions performed by the C-130. To correlate the Guided Tour specifically to your classroom curriculum, please advise when scheduling. Standards that can be met are SSH6 (a)(b)(d)(e). Guided Tours last approximately 1.5 hours. The Guided Tour will include one or more buildings. The minimum number of students required for a tour is 20 and the maximum number is 90. 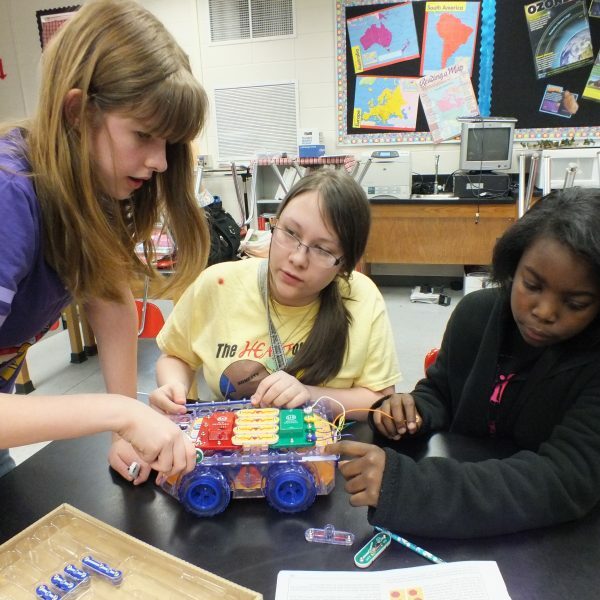 The ACE STEM Field Trip Program is designed to spark students’ interest in STEM (science, technology, engineering, and math) through engaging, hands-on activities specifically correlated to GA Standards of Excellence for Science. Objectives can be found below. Using various objects students will compare different types of motion. 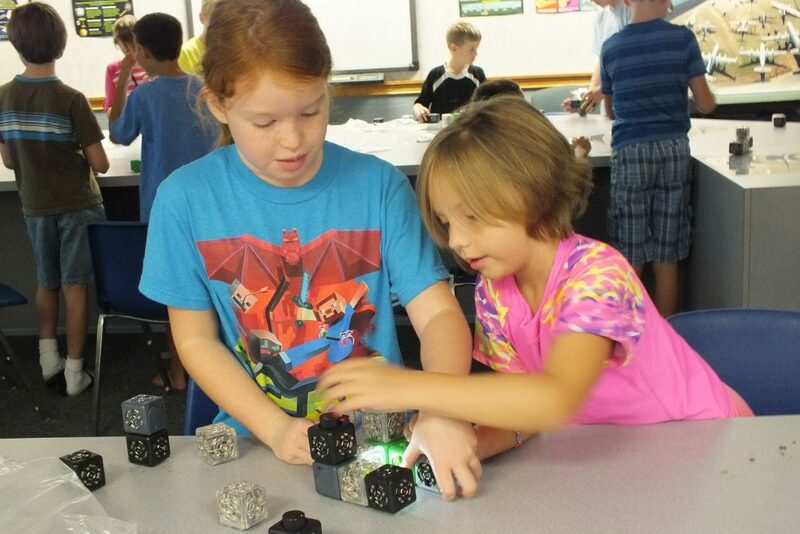 Students will investigate magnets, and build a device that creates light and sound. Students will demonstrate the effect of force upon an object. Students will explore and identify sources of heat energy and experience an exothermic reaction. Students will demonstrate how gravitational force affects an object. Students will investigate Electricity and its relationship to magnetism. ACE Plus combines both the ACE STEM Program with a Guided History Tour of 1-2 buildings. Students also experience the C-130 Hercules Airplane Exhibit by learning about the role of the aircraft and paratroopers. All other ACE guidelines apply. 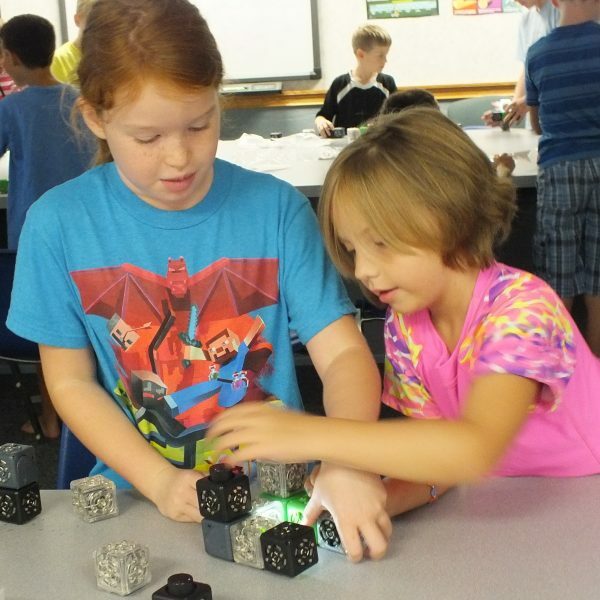 ACE STEM-based activities are brought to your classroom. 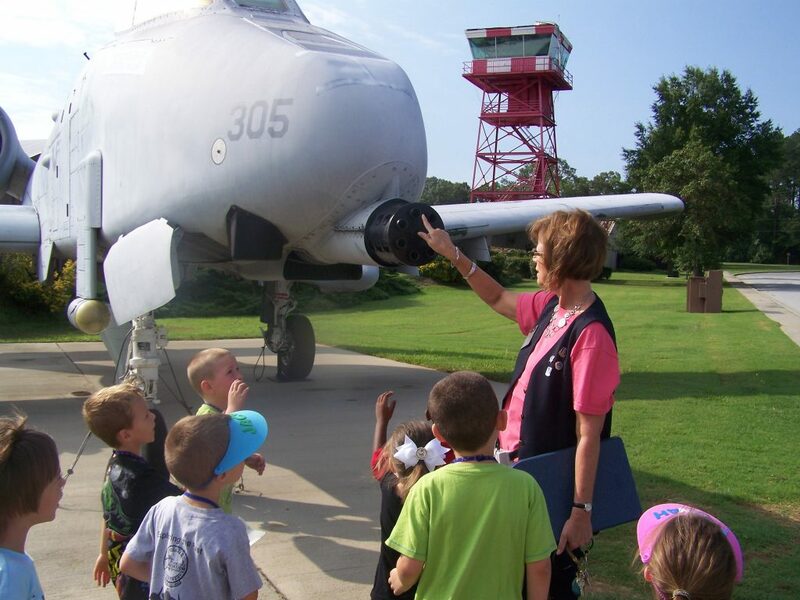 This program is offered to schools within 50 miles of the Museum of Aviation. ACE On The Go Programs are scheduled Tuesdays – Fridays August – May, not offered June – July. Times are flexible to meet the needs of the schools. Fee: $5 per student. Can see one grade level per visit. TinkerTech - 4th - 8th Grades *Now offering LIVE Virtual Field Trips! 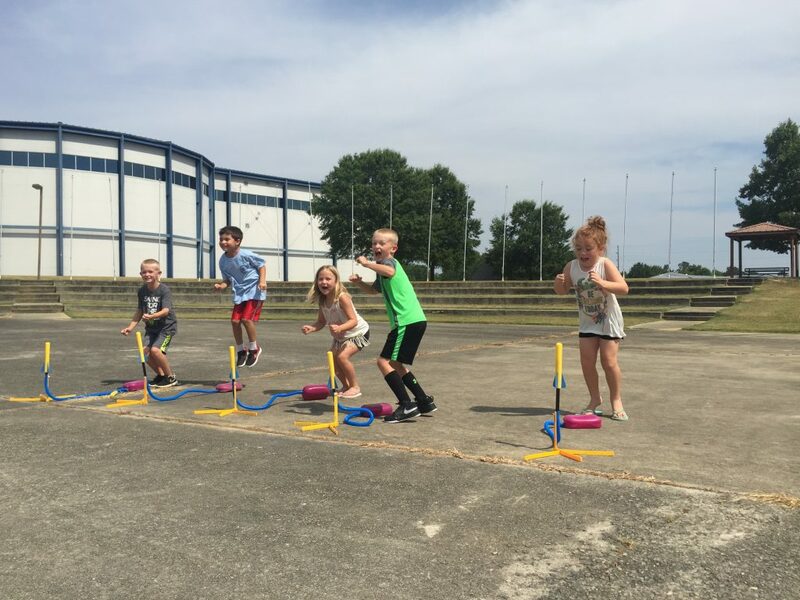 The National STEM Academy TinkerTech program at the Museum of Aviation focuses on exploration, innovation, and discovery through hands-on STEM activities for students in grades 4 through 8. The program takes place at the Museum of Aviation in the new TnT Lab or “On the Go” outreach at the school. The minimum number of students required is 15 and the maximum is 30. Programs are scheduled Monday – Friday and last approximately 1.5 hours at the Museum and 50 minutes “On the Go” at a school. Saturday classes offered upon request to scouts, churches, and nontraditional education groups. Robotics : Learn how forces, motion, and Newton’s Laws work using technology such as Dash & Dot and Cozmo robots. Earth and Space: See how craters are formed, experience earthquakes, and witness the effects of wind, ice, and water erosion using technology such as Virtual Reality. VR Google Expeditions: Discover STEM and History subjects through innovative virtual reality experiences. Live Virtual Field Trips: $100 per trip, no minimum or maximum number of students, however, to ensure a quality program please limit to one grade level at a time. Each trip lasts approx. 30-45 minutes and curriculum will include a live STEM demonstration and a tour of at least 1 building. 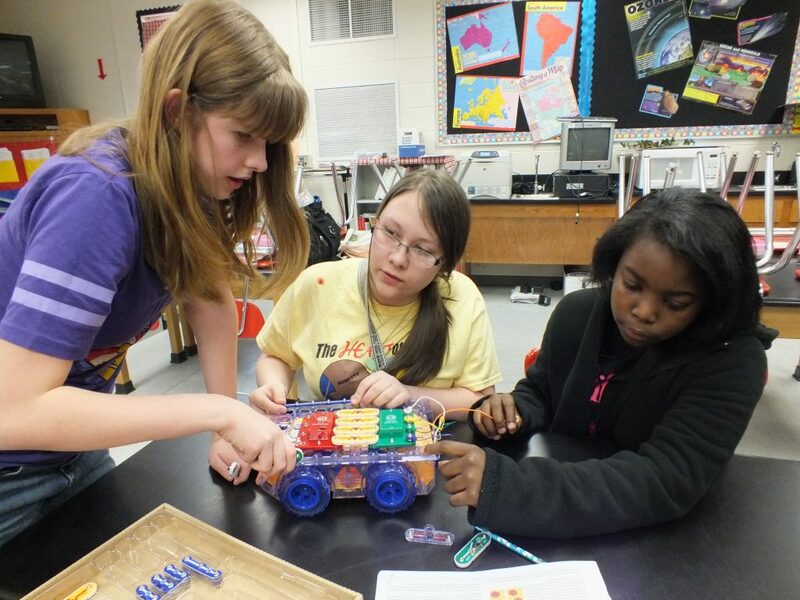 STEM demonstration is flexible depending on grade level and curriculum and will be decided upon during scheduling. Students will have the opportunity to ask questions with instructors live. To reserve a TinkerTech Field Trip, please complete a reservation request form below! 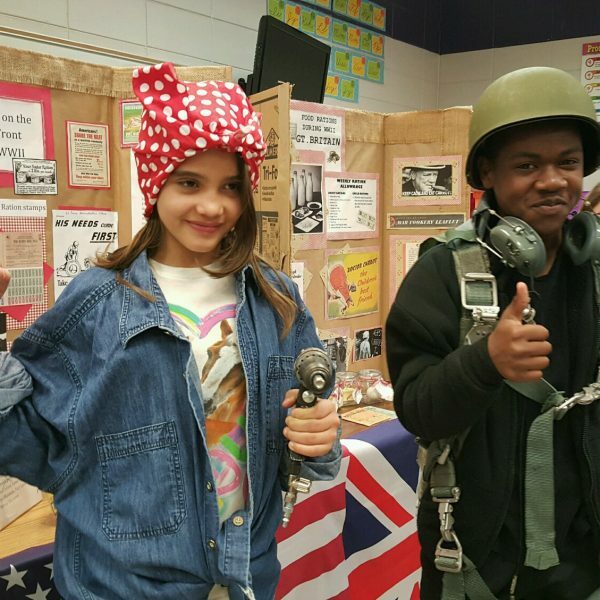 This program for 5th grade students provides a special tour of the Museum of Aviation’s WWII Hangar which includes the Black Eagles exhibit and the D-Day Down to Earth exhibit. The students view authentic artifacts, participate in a parachute activity and receive a glider. The teachers receive a Tuskegee Airmen Resource guide which includes detailed information and follow-up activities. To correlate the Guided Tour specifically to your classroom curriculum, please advise when scheduling. Standards that can be met are SS5H6 and SS5H8. The Tuskegee Tour lasts approximately 2 – 2.5 hours. The minimum number required for the tour is 20 students and the maximum is 90 students. 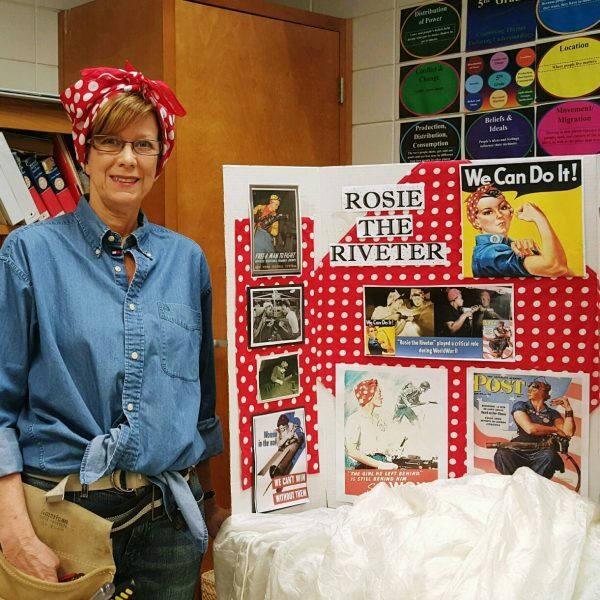 Bring World War II Family Life to your classroom! 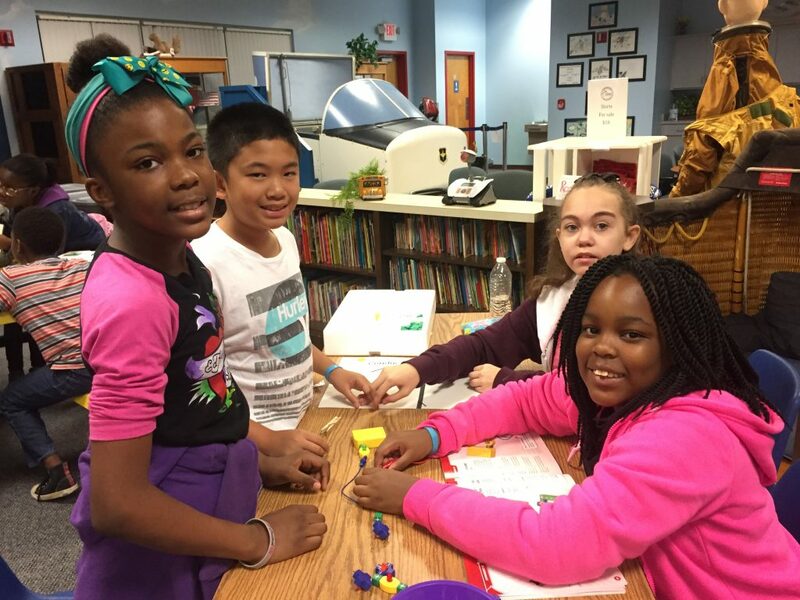 This outreach program for 5th grade students takes place at your school. 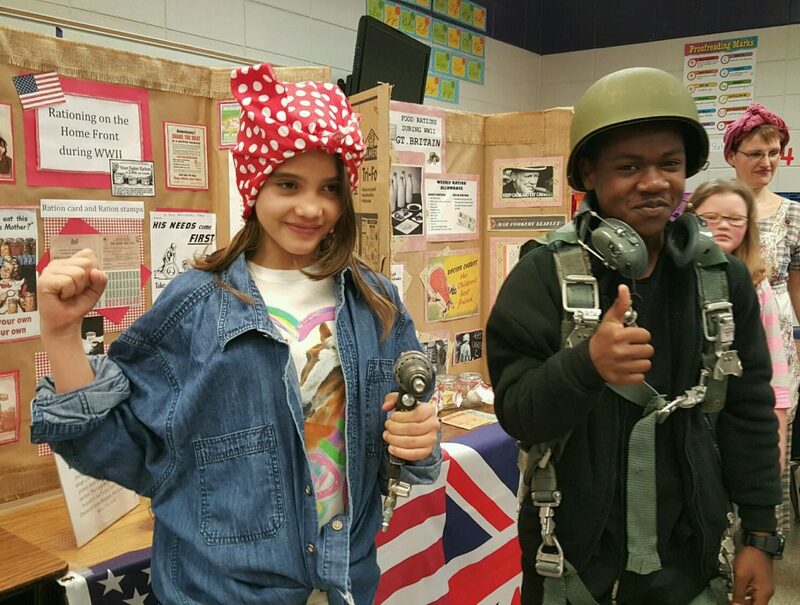 View real artifacts as you learn the roles of the family during WW II. Learn about rationing and what measures Mom and the family had to take to survive the war. 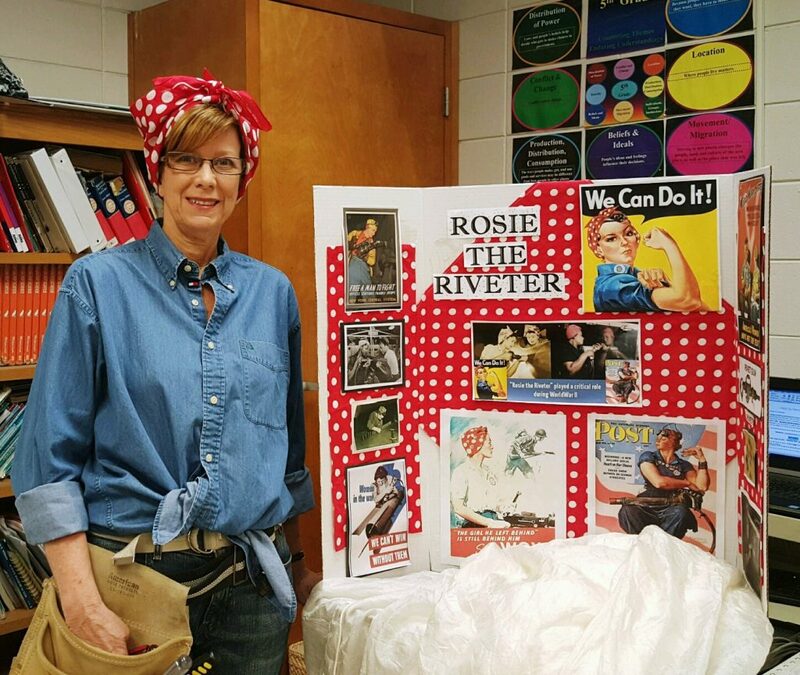 Students will discover “Rosie the Riveter” and how the roles of women changed in their effort to support the war. The class will also participate in a hands-on activity. Social Studies Standards met are SS5H6 (a) (e). Tuesday – Friday between the hours of 10:00 and 1:00. 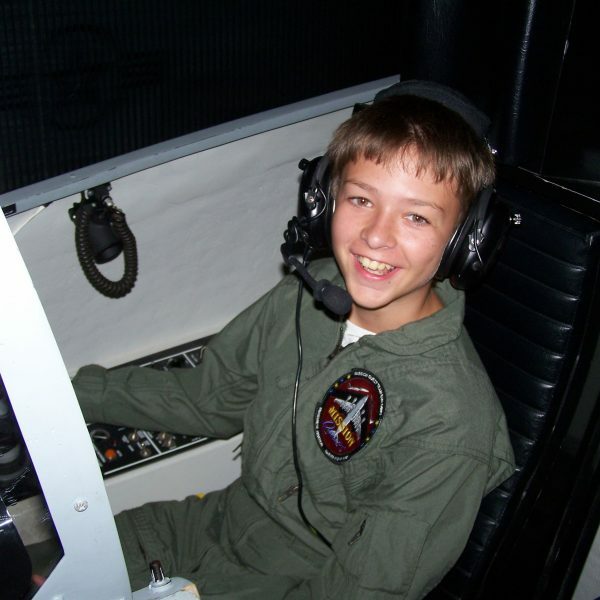 The Mission Quest Flight Simulation Program is for groups of students in grades 6th-12th. This 3-hour program involves planning and flying a mission. Mission success depends upon working together as a team for mutual support. 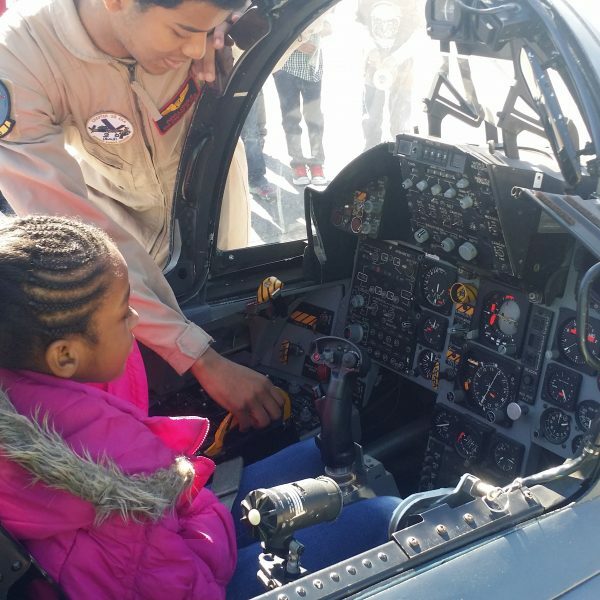 Students will fly the B-1, C-17 or F-15 flight simulators. The state of the art software and hardware create an exciting and accurate experience. Recent renovations make Mission Quest a state of the art facility for simulated flight and non-combat aviation applications. Currently, this program is not approved for FAA flight licensure or official flight log time but has been proven to be an excellent platform for maintaining and improving aviation skills. *NEW* Careers in Aviation: This optional 1-hour program, featuring aviation careers and workforce development, can be added to any regular Mission Quest field trip program for $5 per participant. ***This program is not taking any registrations at the moment. Please check back for future dates. Thank you. 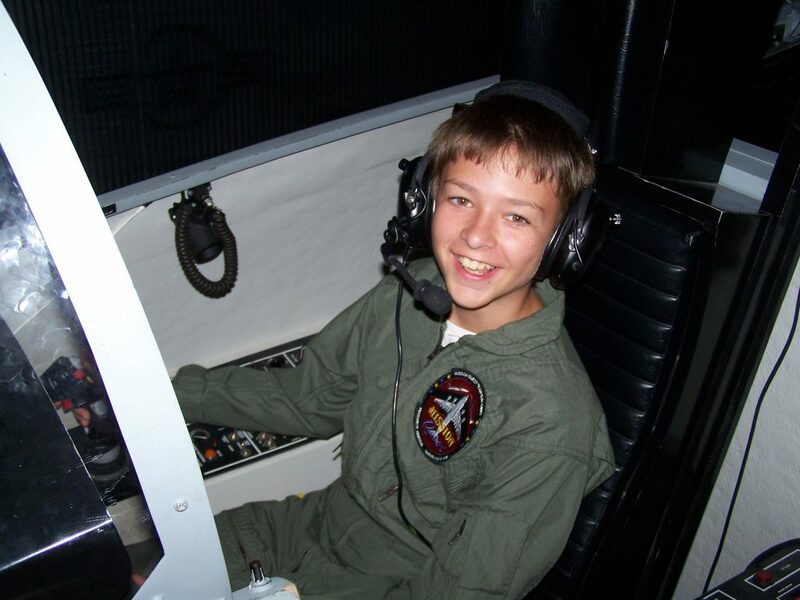 Mission Quest Aviation Outreach is a 50-minute program for 6th – 12th-grade students. 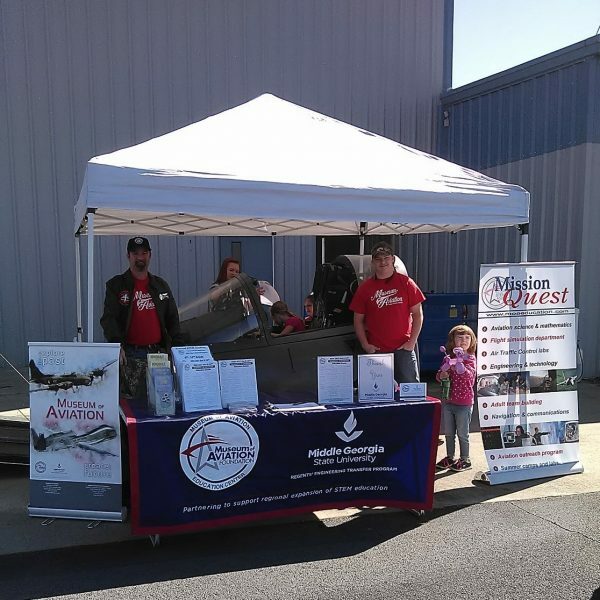 The program is taught by Museum of Aviation STEM Specialists at the school site. 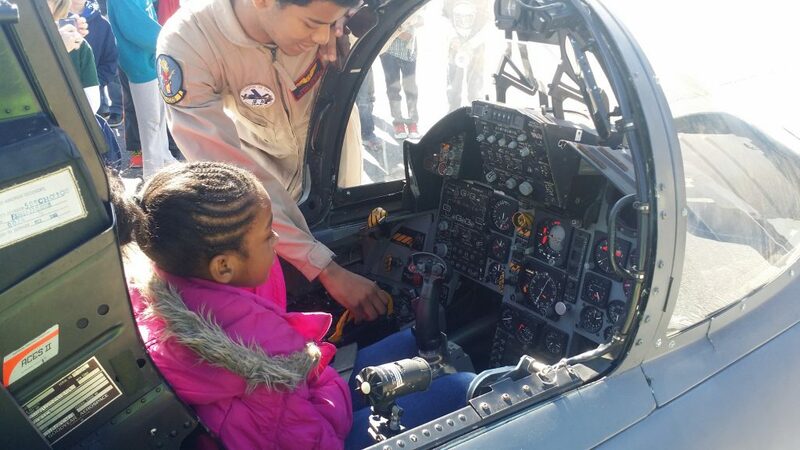 Please contact the Museum to schedule the Aviation Outreach program for your school. Each 50-minute program is suitable for approximately 25 students and costs $150. Each additional program on that same day costs $125 each. The program requires one classroom space and one paved area for the F-15 cockpit. An additional travel charge will be added for any school or destination farther than 45 miles from the Museum of Aviation in Warner Robins, Georgia. The mileage rate will be calculated and charged at the time of scheduling. ATC is a 3-hour program for groups of students in grades 6th-12th. 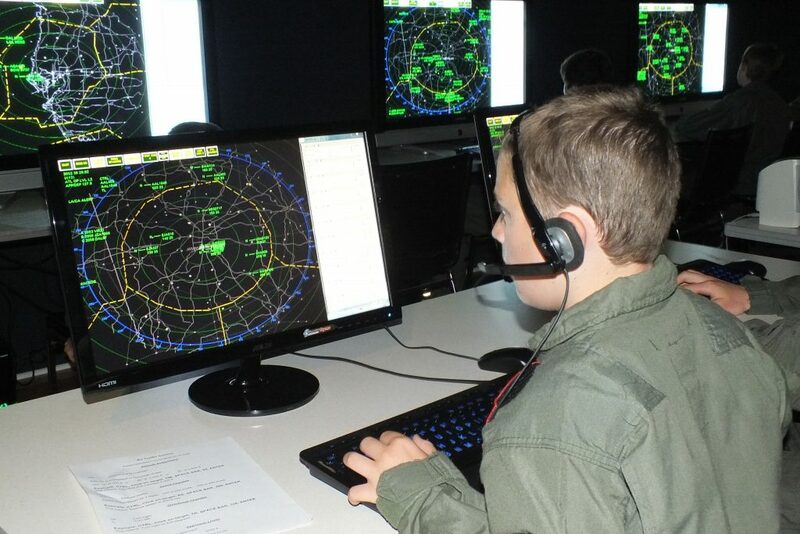 Students learn about the interesting and challenging careers of air traffic controllers. Controllers are responsible for moving aircraft safely through the skies around the world. In this workshop, students learn about the roles of radar arrival, radar departure, and the flight data specialists in a real world environment of Atlanta’s Hartsfield-Jackson Airport. Students will work as a team just as in a real radar center. 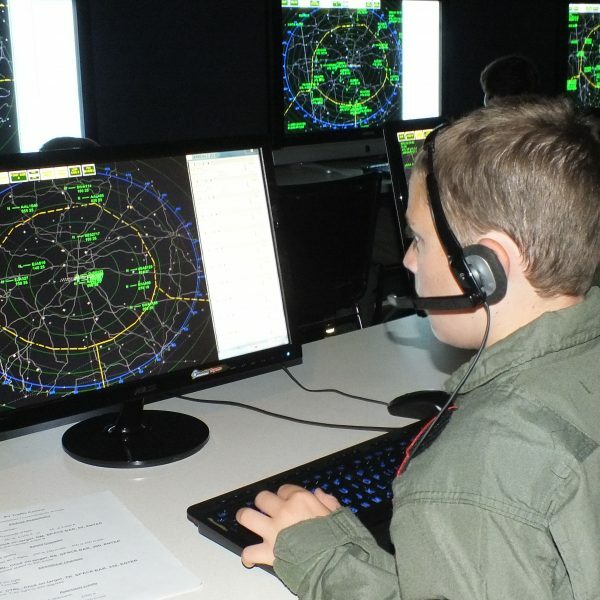 This program is perfect for scouts, CAP, JROTC, or any other group interested in the career of Air Traffic Control or wanting a great team building exercise. Afternoon programs available upon request, Program must be scheduled in advance. Programs are scheduled Monday – Friday and last approximately 2 hours at the Museum and 50 minutes “On the Go” at a school. Saturday classes offered upon request to scouts, churches, and nontraditional education groups. This tour highlights our home-town WWII hero and accomplished author Robert L. Scott who was from Macon, Georgia. His adventurous life included achievements in scouting, an incredible military career, and the experience of walking the Great Wall of China. The students will go inside the Lockheed-Martin C-130 Hercules Airplane for an inside-an-aircraft experience. Robins Air Force Base is a service depot for C-130s and students will learn of its history and how Paratroopers use this plane after being trained at Fort Benning, GA. A short video about the plane will be shown. The tour will end with a Scavenger Hunt activity. The Georgia Studies Tour lasts approximately 2 hours. The minimum number required for the tour is 25 students and the maximum is 75 students. To schedule a visit for any of our group programs, please complete the form below. This is a request form only. Programs and Field Trips are not scheduled until you are contacted by phone or email by a field trip coordinator. As our instructors coordinate their own trips, please allow 2-3 business days for a field trip coordinator to contact you and confirm reservation requests. Homeschool and individual registrations, please use the appropriate Registration link on the listing. Thank you. Please use this form for group programs and field trips. For individual registration, including STEM Labs and Homeschool Workshops, please use the buttons above for the specific class. Please include optional dates, notes, etc. in the box below. ***For the TinkerTech Program, please list your curriculum choice. For special needs groups, please contact us for alternative options.